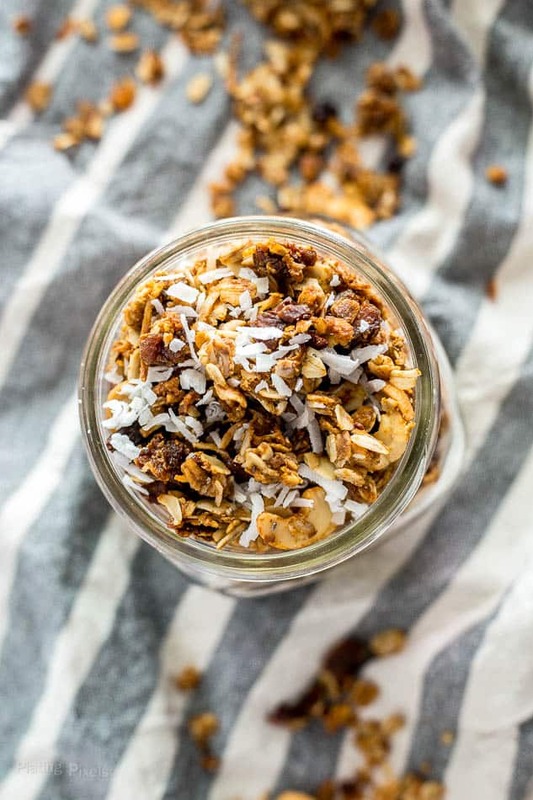 This easy homemade Cashew and Coconut Oil Vegan Granola includes oats, coconut oil, coconut flakes, dried apricots, cocoa nibs and protein powder for a healthy, wholesome breakfast. I was surprised when I realized I’ve never created my own granola, let alone post it here. So this Cashew and Coconut Oil Vegan Granola is my first foray into the world of granola, and won’t be the last. Homemade granolas are quick and incredibly easy. Just assemble the ingredients in a bowl and stir until combined. Spread out on a baking sheet, and bake to dry out and crisp. This coconut oil granola is healthy, vegan and uses only natural agave syrup and molasses for added sweetness. Ingredients like cashews, sunflower seeds and dried apricots add plenty of nutrients, as well as texture variety. 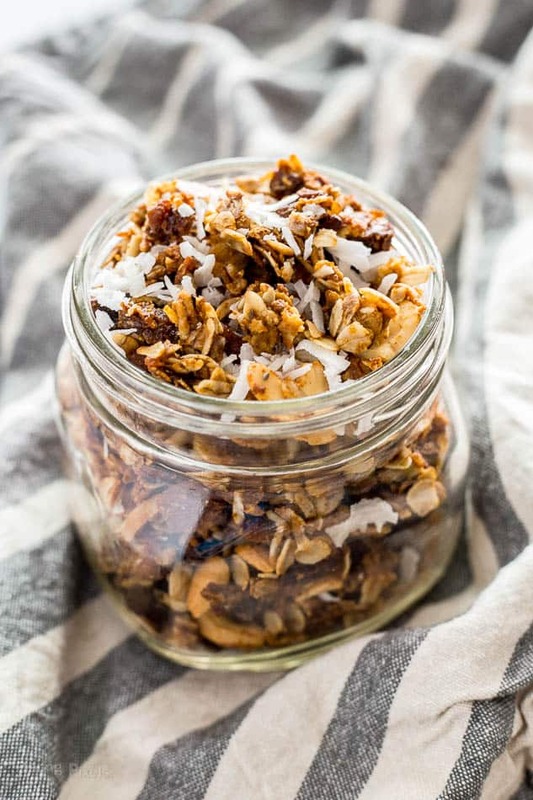 I suggested added protein with your favorite protein powder, making this granola is a great way to fuel up in the morning, during a hike or post-workout. Try it as snack, as cereal or over yogurt for a quick and healthy granola you can enjoy anytime. 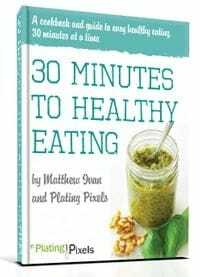 Preheat oven to 350° F. Combine all ingredients except salt in a large bowl. Stir until well combined. Evenly spread granola mixture onto a rimmed, parchment-lined baking sheet. Lightly sprinkle with sea salt. Bake 6 minutes, then stir and bake 6 minutes more or until lightly browned. Remove from oven and cool completely. It will harden once cooled. Break up and store in a jar or airtight container. This Granola is right up to my street, love coconut, cashew and flavours are incredible. Matt, I could snack on this all day! 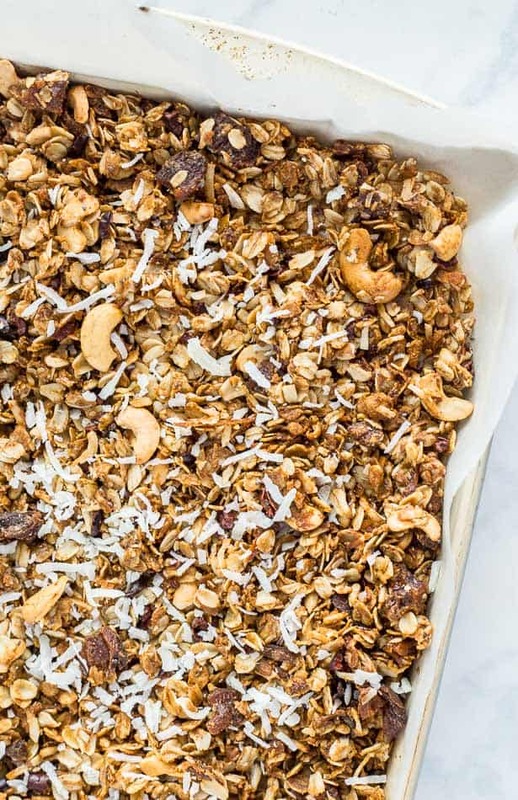 What a fabulous granola…love all that coconut! I love homemade granola. This sounds like such a yummy combination. Would definitely love to try this. This looks so amazing! We eat so much granola in my family, I really need to start making it myself! Two of my favorite things.. Cashews and Coconut! Love the combination. Can’t wait to try! !